Croyde Devon - listings of activities, shops, facilities, places to eat and accomodation in Croyde and the surrounding area. The Manor Inn provides good drinks, award-winning food and also accommodation. magicseaweed.com - Saunton / Croyde / Woolacombe surf report and forecast. 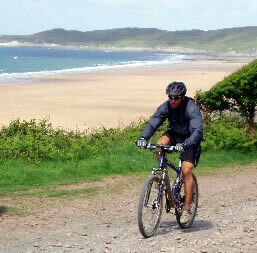 Croyde Bay - visitor information site and accomodation information. Black Rat Challenge - North Devon's tough cycle sportive challenge. The Cyclist's Touring Club (CTC) is the country’s largest group of people on bikes. CTC campaign to make cycling enjoyable, safe and welcoming for all. 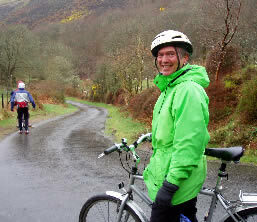 Sustrans is a charity that works on practical projects to encourage people to walk, cycle and use public transport. The North Devon Green Party campaigns for real progress towards a sustainable society.